Just remember just like name and fame, a Domain name having its Search visibility and search volume. The famous keyword can get more visibility. Per example Cars.in is a category killer name when comes to Cars Industry in India. Owning such a name is like owning a premium real estate. How to find the right domain name? If you have an idea to start a personal blog, then you have certain ideas in your mind like your blog name and blog content. For example, your blog name is a creative pen then check for the search volume and developed websites related to creativity. Finding the right domain name involves research and forecast. So simple, just research with the keywords in your mind in google and find the monthly search volume. Keywords Everywhere google extension is one of the best keyword tools to consider for this research. Finding the future demand for a specific keyword is another strategy, examples are future technologies, marketing ideas, and education. Just like play store to games, Registrar is the place you can buy domains. 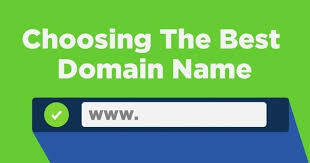 Godaddy, Dynadot and several registrars offer domain names for the best market price. You can simply search the keyword you want and select the available domain name to your cart. Make payment and the domain name is yours.